Graded PR 1 by SGC. Hall of Famer, in a debut-year appearance. 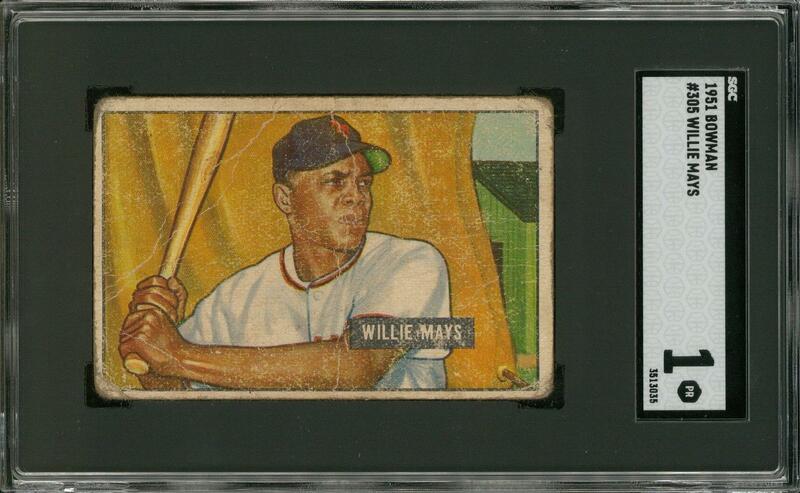 This "High Number" collectible from the 1951 Bowman release features one of baseball's greats. The piece concedes creasing, small back smudges and general, peripheral wear. 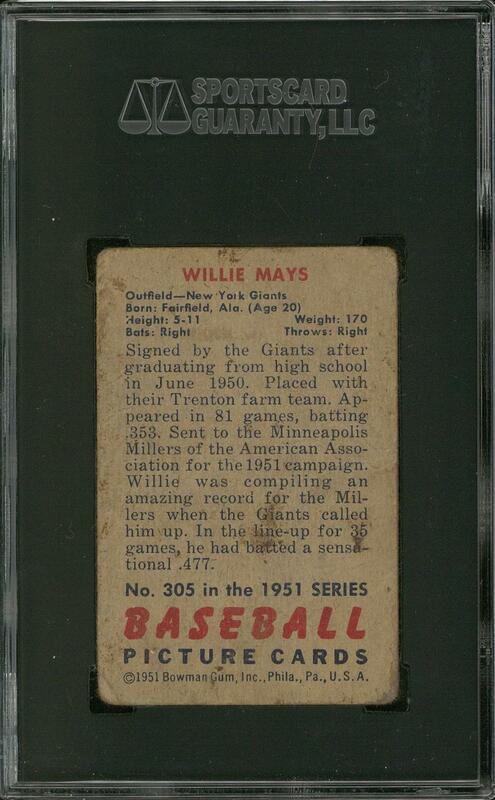 A budget-friendly specimen of a high-demand collectible, in Poor condition.